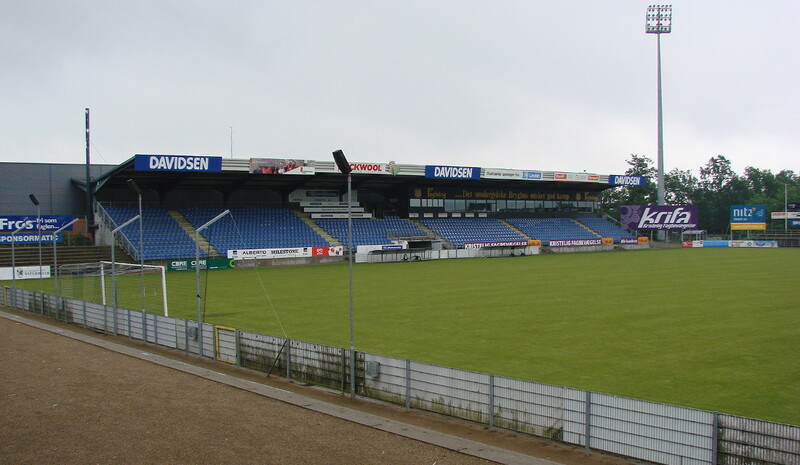 Sydbank Park, before known as Haderslev Fodboldstadion, was built in 2001 and initially consisted of one seating stand and open terraces on the other sides. 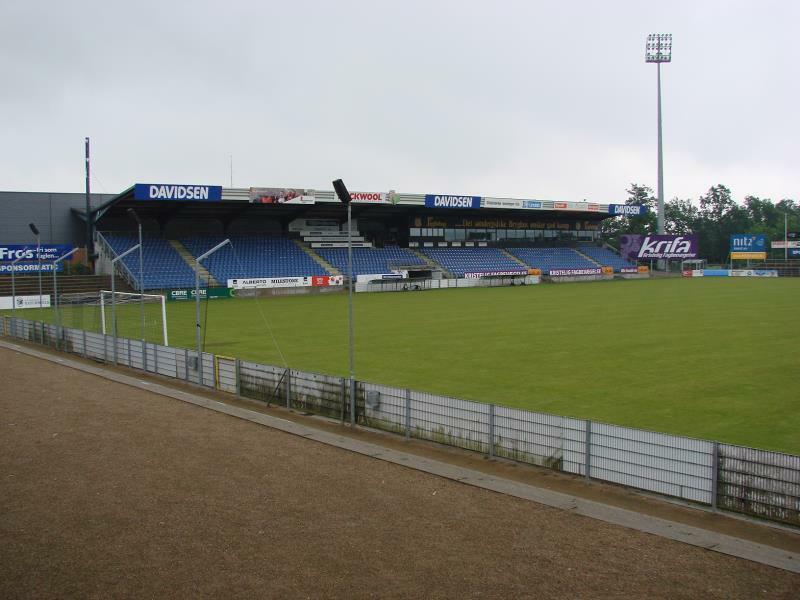 Further seats were installed in 2011 following the promotion of the club to Denmark’s top league to reach the obligatory 3,000-seat limit. Sydbank Park is located in the north of the town of Haderslev at about a kilometre from the town centre and busstation. The walk should take no more than 15 to 20 minutes. Haderslev can be reached by bus from nearby Vojens, which has a reasonably frequent train connection with Copenhagen. Tickets for SønderjyskE games can be bought on the gate on the day of the match. SønderjyskE hardly ever sell out. Tickets cost either DKK 125.00 for a seat or DKK 100.00 for standing. Soenderjyske.dk – Official website of SønderjyskE.